Posted April 27th, 2014 . 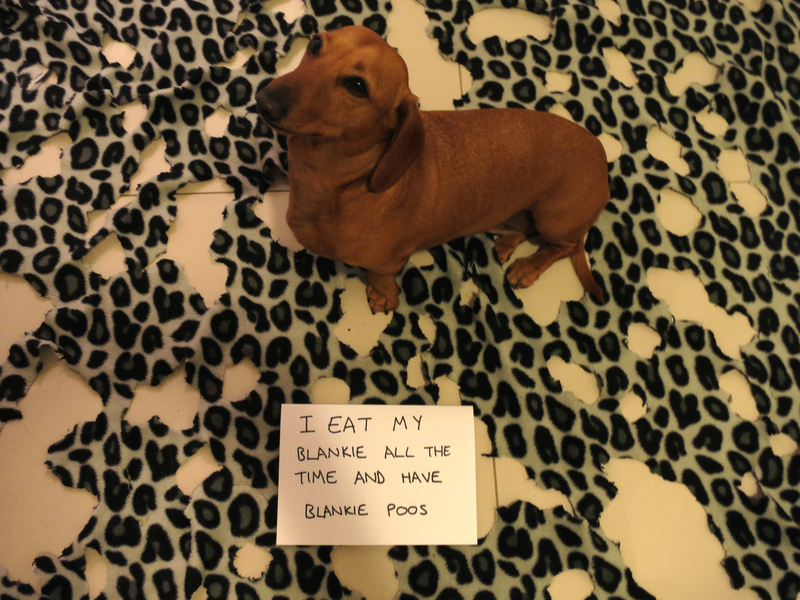 My Dachsie does the same thing! Fortunately she doesn’t actually eat the blanket, just tears it to shreds. I have to buy new ones every few months. One of my four dachshunds also does this. All of my fleece has holes in it. My little girl doxie does this! to my down blankets! Looks like someone shot a duck in my house all the time! I go to work with feathers in my hair!